EPL helps grow engaged, passionate learners. The City of Learners in an initiative that is led by the community and lives at the Edmonton Public Library. It seeks to work collaboratively and creatively with community partners to incubate, pilot and engage in learning activities for all Edmontonians. The City of Learners partners with formal and informal learning organizations to activate learning and to create inclusive learning opportunities for, with and by Edmontonians. In 2008, then Councilor Don Iveson led a group of learning sector stakeholders to explore the idea of a learning city project. 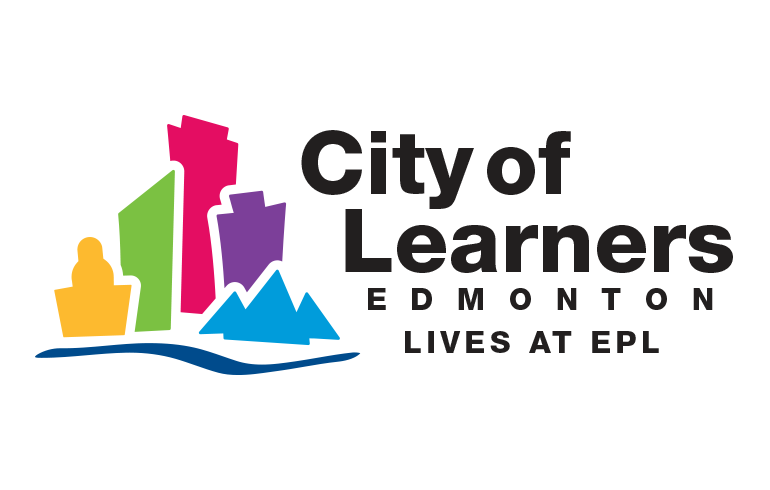 Based on stakeholder discussions and input from community dialogues, the Edmonton Learning City Initiative developed the Community Foundational Learning Plan, which brought together organizations to work together more effectively in promoting lifelong learning for all Edmontonians. The result of their work was compiled into the Community Foundational Learning Plan (2013), which shaped a vision, identified shared strategies and established learning priorities for what would eventually become the City of Learners. As the initiative moved forward, the network of organizations, which included the Edmonton Public Library, formed under the “City of Learners” banner, and in 2013, the City of Edmonton established the Edmonton Public Library as the ‘home’ of the City of Learners. Under the stewardship of the Edmonton Public Library, the 2014-18 Strategic Goals focused on learning as one of its four strategic directions and specifically committed to being “the home of the City of Learners.” The 2019-2021 Edmonton Public Library Business Plan lists the City of Learners under its Significant Operational Activities. Three goals have been adopted by the City of Learners Steering Committee as the backbone of a 3-year plan (2018-2020) for the City of Learners Initiative. Connect: Edmontonians are connected to existing and emerging learning opportunities through the city. Wherever possible, priority will be given to developing learning opportunities and action items that meet the priorities established by the Community Foundational Learning Plan: literacy, early learning and health & learning. Read about the 3-year City of Learners Action Plan.